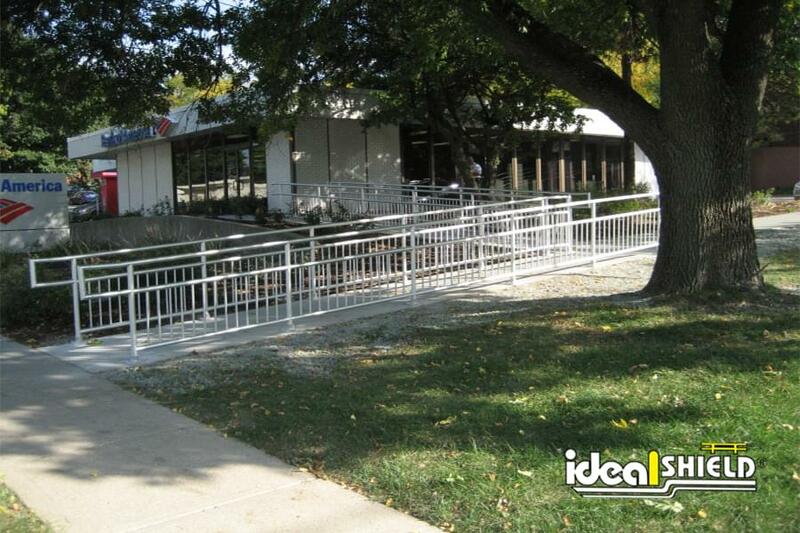 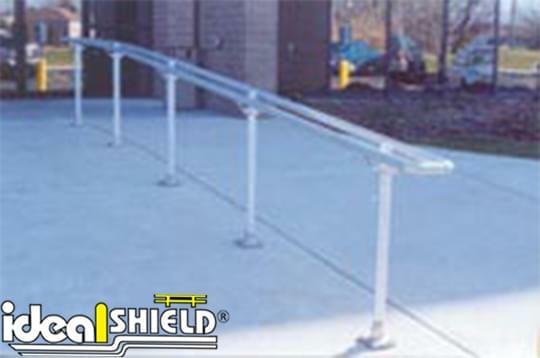 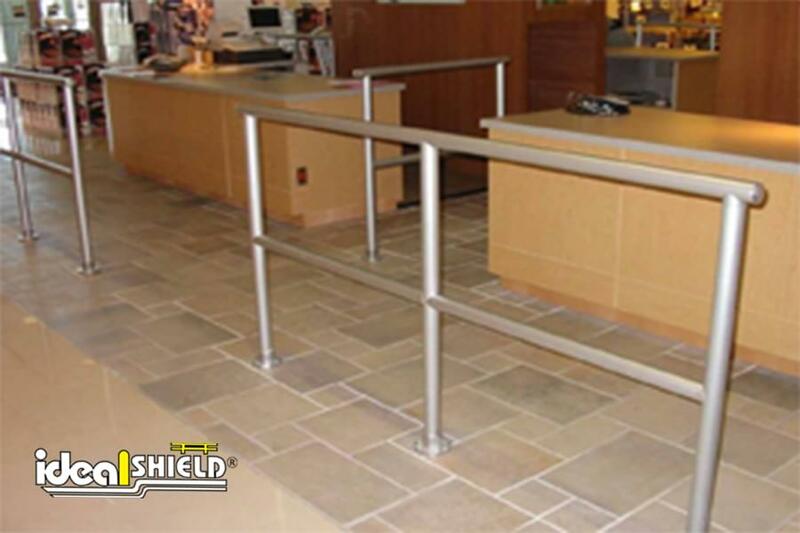 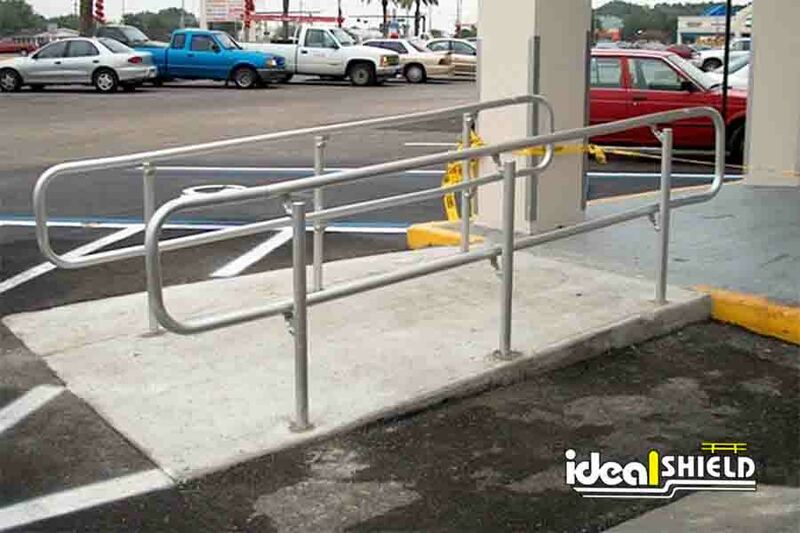 Ideal Shield manufactures modular handrail systems designed to meet the requirements for the Americans with Disabilities Act. 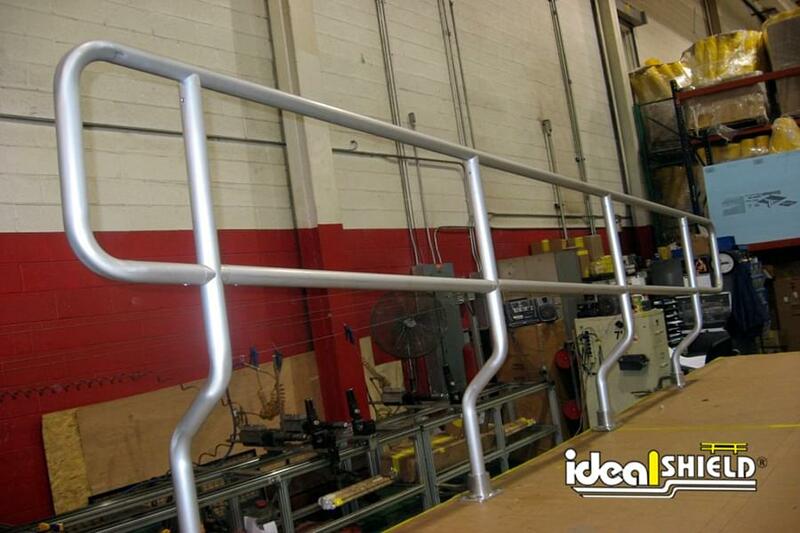 Our ADA handrail is the custom framework of two horizontal handrails supported by vertical posts, manufactured by fittings and pipe, to ensure the strongest aluminum handrail possible. 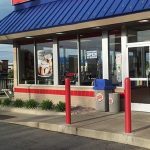 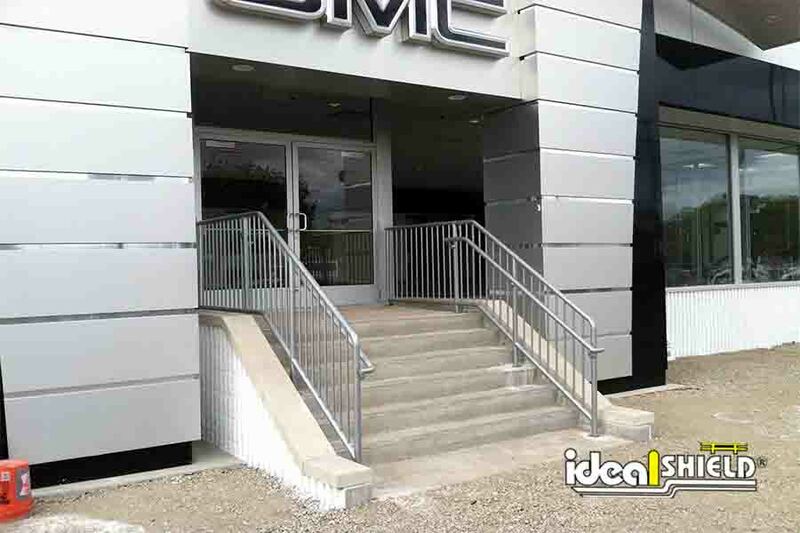 Manufactured out of aluminum, Ideal Shield ADA handrails are lightweight, weather resistant, and durable enough to withstand more than just everyday wear and tear. 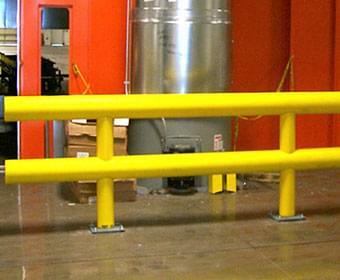 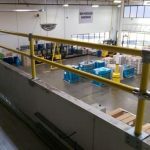 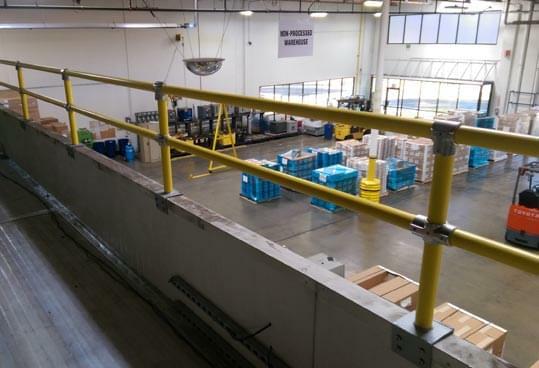 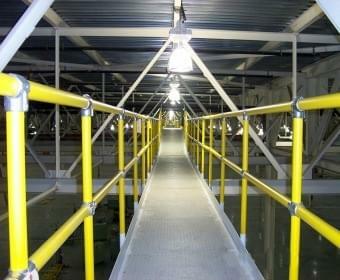 Thanks to the lightweight material, not only are they adjustable on site but our aluminum handrails also reduce shipping costs while meeting all current safety railing codes and standards. 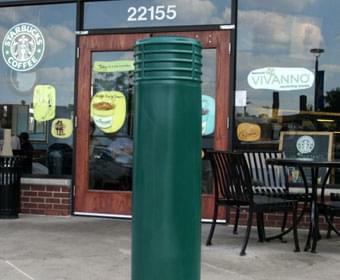 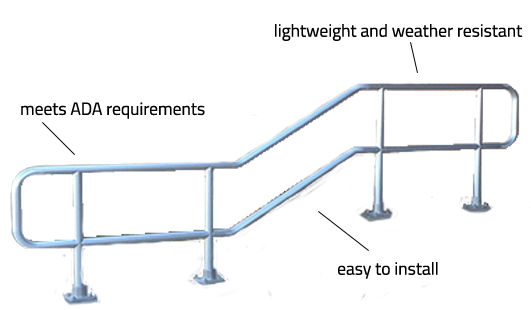 ADA handrails aid those with a disability, ensuring those in a wheelchair, walker, or cane can safely use a ramp. 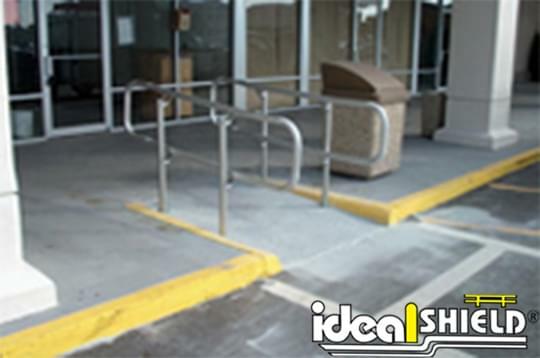 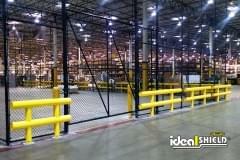 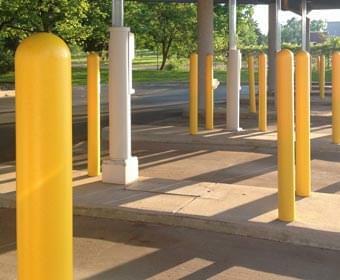 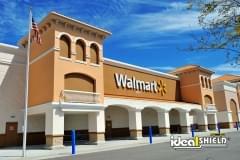 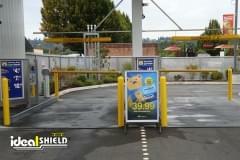 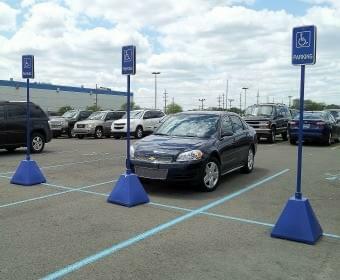 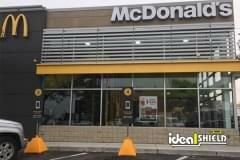 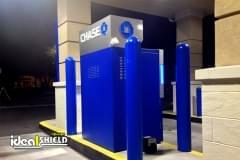 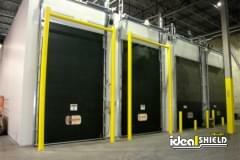 At Ideal Shield, we pride ourselves on following all laws and ADA guidelines. 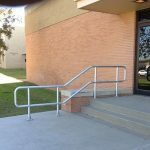 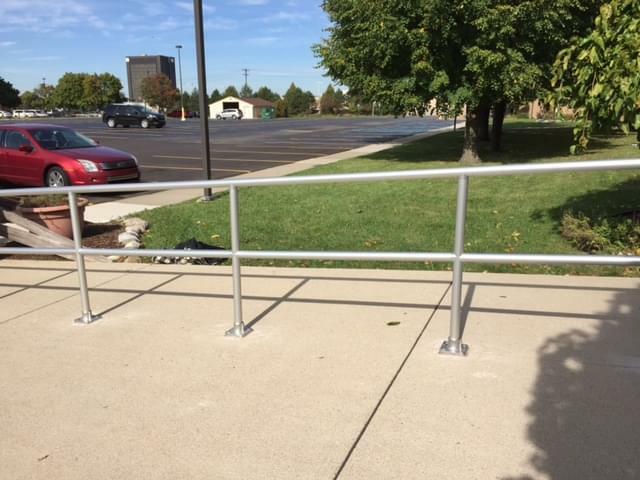 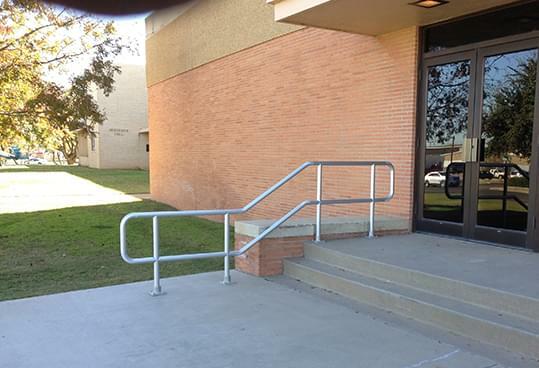 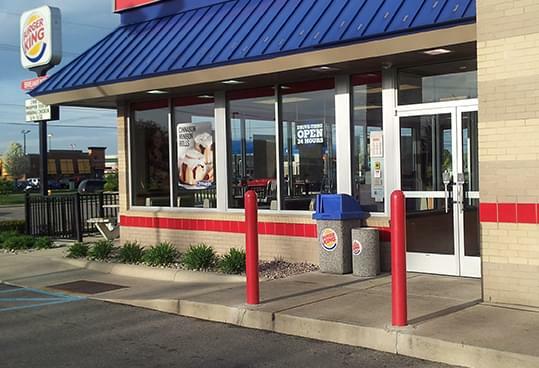 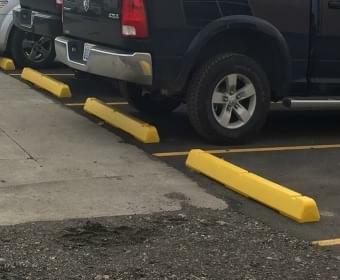 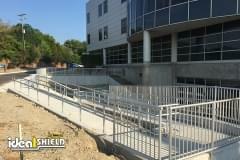 If you’re looking to add a new handrail that meets wheelchair ramp requirements and every other requirement, contact us today for more information on our ADA compliant handrails.